"Who Else Wants To Avoid Gaining 7-10 LBS During The Holidays???" Fill out the form below, and I will personally give you a call within the next 24 hours to get you started! Note: you can start before November 19th and get up to an additional week (at no additional charge). So Register Now! My name is Sean Millhouse. 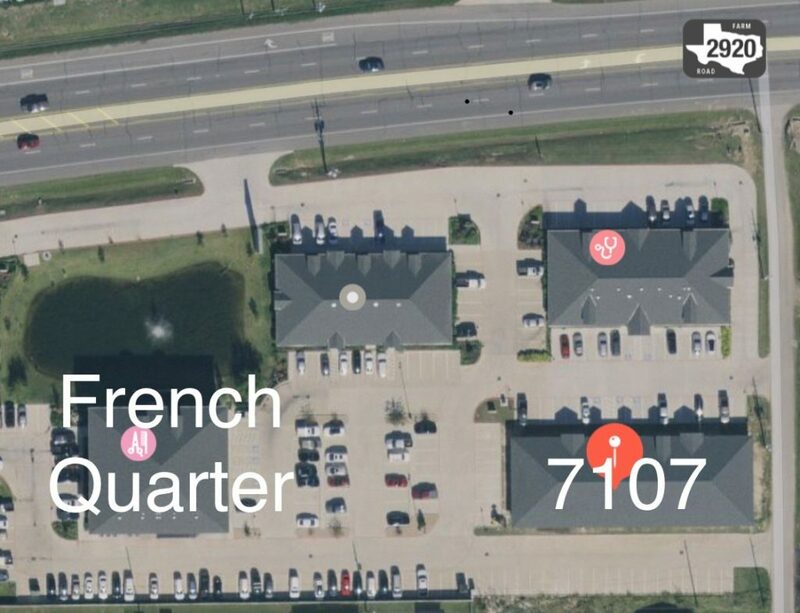 I have owned and operated Fitness 101 right here in the heart of the Spring/Klein area for over 15 years. 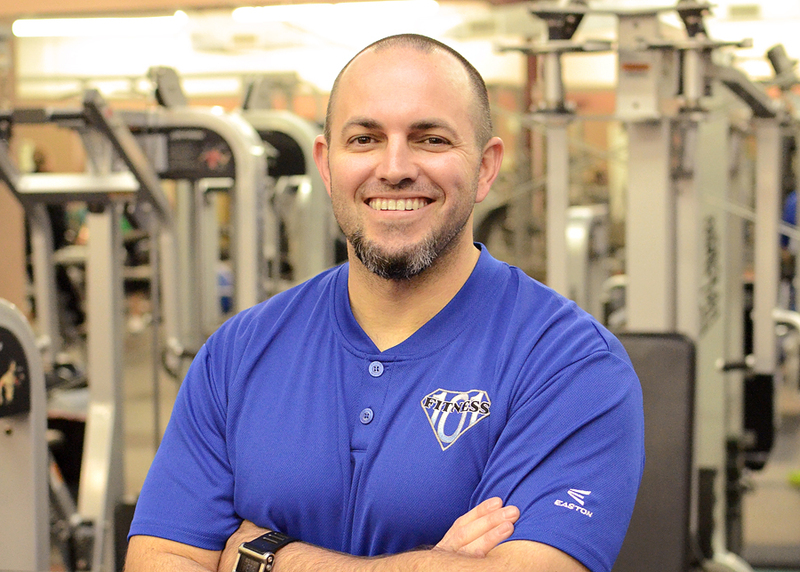 I am dedicated to helping you achieve all your health and fitness goals. And I want to help YOU avoid gaining weight during the holidays. I am beginning my Holiday Fitness Survival Program on November 19th (the week of Thanksgiving)...but you can start up to 1 week sooner!!! My Holiday Fitness Survival Program will provide you all the Tools and Accountability that you will need to Look & Feel Great through the holidays! You can finish 2018 on a Strong note!!! To reserve your spot, simply fill out one of the forms on this page...and I will personally call you within the next 24 hours to get you started. What Is Included In The Holiday Fitness Survival Program? You will participate in 2 Personal Training sessions (in a small group) per week. I have over 28 different times each week to choose from. Each session has a limit of 6 clients and includes various fitness levels participating. The workouts will be customized to you! I will provide you with all the support and guidance you need to feed your body with 100% Real Food. Sample Meal Plans, Grocery Lists, Recipes, Time-Saving Tips, etc. are all included. I will not be pushing any pills, potions or gimmicks. I want you to eat Real Foods, that (hopefully) you cook! Oh, and you will absolutely be able to enjoy Thanksgiving and Christmas! I will design a plan for YOU that tells you how much (and what kind) of cardio you need to do to be a Fat Burning machine during the holidays. And I will also give you detailed instructions on what exercises/stretches you need to perform to release sore/tight muscles. 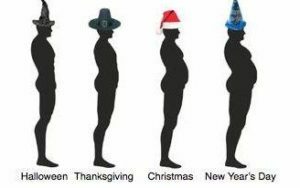 I will perform several assessments before and after the Holiday Fitness Survival Program to ensure that you see the most progress possible. I will be holding you accountable for your actions. You will be filling out a simple daily journal with food and exercise. And each day I will ask you to post a picture of your journal to my Private Facebook Group. This will help you stay motivated by sharing with everyone else who has the same goal(s) as you. You will get the love and support from the Fitness 101 Family through the end of the year to help ensure that you make it through the holidays. Should I do the Holiday Fitness Survival Program? I honestly think just about anyone can and should register. It doesn’t matter if you have been working out for years, or just starting out. If you celebrate Thanksgiving and Christmas, you are susceptible to letting your guard down during the holidays…and before you know it, you’ve added 7-12 lbs. When does the Holiday Fitness Survival Program start? It starts as soon as you sign up. I will schedule a time to get you measured ASAP, set your goal(s), give you your plan…then Boom you’re on your way. The official start date will be November 19th. But the sooner you start, the more time you have to workout. No. 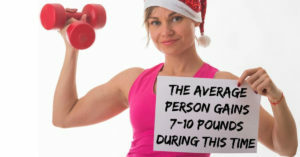 The Holiday Fitness Survival Program is not a competition against other people. It is about setting goals for yourself and being held accountable. Plain and simple. How much is it to register for the Holiday Fitness Survival Program? The registration fee is $299 ($579 Value). This carries you the entire 6 weeks. You can add a 3rd session per week for an additional $100.